If you know me or have been reading this blog for more than a season, you know that summer is my least favorite time of the year. Yes, I know that it isn’t technically summer, but it’s in full swing on the Gulf Coast. The thermostat has reached ninety degrees and the humidity is at sauna conditions. Fortunately, I think I reached my yearly low last month (notice there were only two blog posts in the past thirty-one days.) But, never fear, I’ve slowly been on the upswing. The final shove came gently from my critique buddies at our meeting this weekend. Thanks, MeLeesa and Joyce! For me it’s now baby steps to the blog. Baby steps to the Scrivener file. But at least I’m moving. May was rough, though. The month started with adding another year to my life chart, but ended with a great concert at the Hard Rock in Biloxi. Power metal, country, classical, world, folk, pop, oldies, classic rock, opera, R&B, rap… my music knows no genre boundaries, but I’m very selective about music groups/singers. Besides the great show, all six band members did a meet and greet next to the merchandise table after the show. Naturally, I bought the band’s autobiography and gushed over the twenty-three years of music fandom while they all signed the book. (Here’s another bunch to add to the Fantabutius roster.) The experience of participating in the creating (composing music), sharing (concert), and spending time with fans (autographing) reminded me of my own goals as a writer. I need to work on my craft to have something for people to read, so I can hopefully inspire others to do the same. 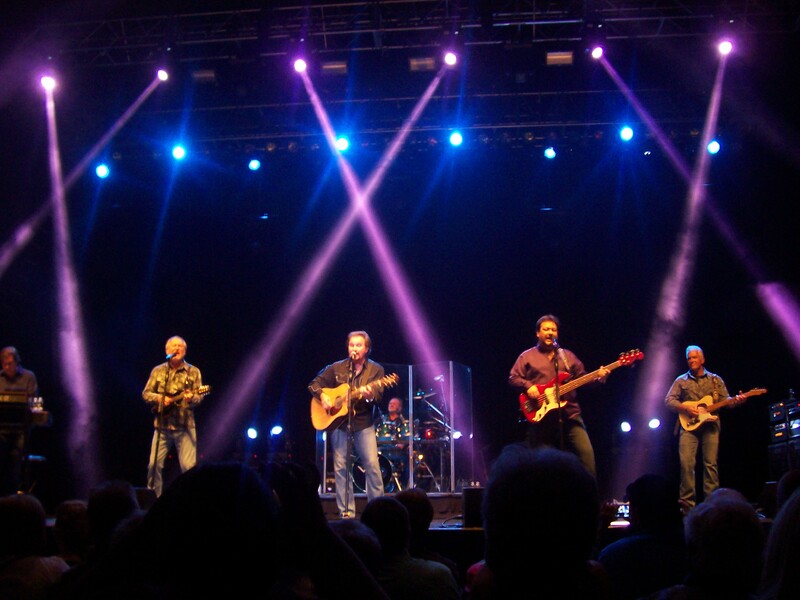 The Diamond Rio concert was a great way to end the moody month and start me thinking about creativity and positive vibes. This past week I finally started a mood music file for my current project and started thinking more about characters and less about the literary rejections. Here’s to a summer of magic and memories in the making. What do you have in mind? Bonus, I’m going back to the venue for a BOSTON concert on Friday. Rock on! It’s been another whirlwind month. Mobile Writers Guild events and planning meetings, field trips and social outings for the kidlets, plus my own milestones. Last week I sent the complete Corroded manuscript to Laurie Halse Anderson. It arrived at her address Saturday the 15th. So the waiting game is on to hear her critique. In an attempt to keep from thinking about my story being in the hands of one of my writing heroes, I treated myself to a free concert at the National Shrimp Festival in Gulf Shores Saturday evening. And, of course, I had another experience! 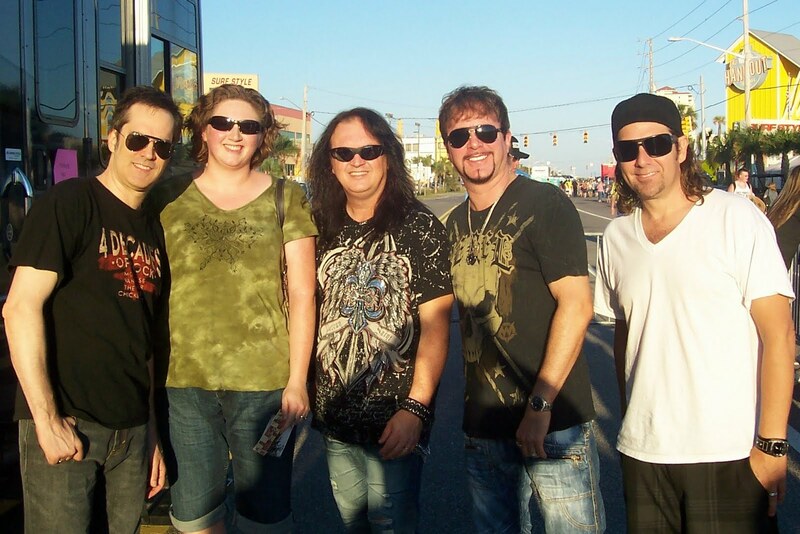 I was able to meet the members of Firehouse before and after the show. The other guys signed the “vintage” flier that C.J. Snare signed at the show on October 12, 1991 (the last time I saw them—20 years ago!) as well as a CD booklet I brought along and the new CD I bought at the show. C.J. still has his voice, Bill wailed on the guitar, Michael hammered the drums, and Allen played a mean bass. They rocked harder than ever! Love music, love great people! Hang with me if you want to catch Fantabutitus! I suffer from fantabutitus (fan-tab-you-tie-tus). That’s Wonderlonian (One-der-lone-e-an) for being a fan of fabulous people! As of today, I have not had a bad encounter with someone I’m a fan of who I’ve been able to meet in person or have contact with online. My eldest sister pointed out, over a decade ago, that I was blessed with great experiences. Apparently she’s heard horror stories about egos and rudeness. True, none of the celebrities I’ve met were athletes or “Hollywood” actors—mine are all music and literary related. I’m not big on starlets and such, though I wouldn’t mind running into Ethan Hawke or Brendan Fraser… But the rock and country musicians/singers and authors—they’ve all been friendly, approachable and even humble at times. Some have even gone out of their way to give back. I’ll keep to three varied examples. Exhibit B: Terry Brooks NYT bestselling author for two decades (now more than three) was on a book tour to promote The First King of Shannara in La Jolla, CA. The friend who got me reading Terry Brooks—a HUGE fan, all first edition hardcovers—lived less than two hours away but couldn’t make it to the event. My friend’s birthday was the following week and I told Mr. Brooks about him. I even gave him a slip of paper with my friend’s name and address on it, asked if he could send a birthday note. (Can’t say I didn’t try, though the people in line behind me rolled their eyes and huffed.) Of course, when my friend received a birthday postcard from someone signing himself as Terry Brooks he thought it was a joke. Nope, just the best birthday greeting ever! Exhibit C: Matthew and Gunnar Nelson Yes, those blond twins—sons of the late, great Rick Nelson. After a sound check before a show in Biloxi, MS about a dozen years ago, they stopped to talk to my husband and I and signed the old school Nelson poster I’d brought along (which Bobby Rock had already signed a couple years previous—another pleasant meet and greet.) Gunnar sat at our table and talked with us for a while before heading out. Even my husband was impressed with that—but maybe it was because of Gunnar’s skydiving and bungee jumping stories. Now, I want to hear your fantabutitus (and not-so-nice) stories!